On Hilton Head Island, a new adventure awaits around every corner. Build sandcastles and splash in the waves on one of the top 10 family beaches in the United States. Explore the Island by land during a bike ride or a hike, or discover it by sea with a kayaking expedition or a fishing trip. Browse boutiques for the perfect souvenir, stroll the streets during a guided tour by land, air or water, and take a step back in time at a historical attraction - there are countless ways to see why Hilton Head Island has been chosen “#1 Island in the Continental U.S.” and “#2 Island in the World” by Travel+Leisure Magazine, and the “Top Island in the United States” by Condé Nast Traveler Magazine. 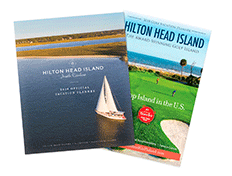 Check out these great activities and attractions on Hilton Head Island.